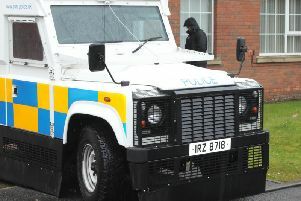 A 53-year-old woman will be sentenced next month at Craigavon Magistrates Court after admitting two assault charges. Pamela McRobert, West Street, Portadown, pleaded guilty to assaulting a female occasioning her actual bodily harm on June 9 last year and common assault on another female on the same date. The court heard that both girls had been with their aunt, the defendant, and there was an argument. The defendant pushed one of the girls to the ground and hit her head off a door frame while she threw a cup at the other girl, striking her on the head and she had to go to hospital. District Judge Oonagh Mullan said that given the circumstances a pre-sentence report would be required. She adjourned the case until March 24.